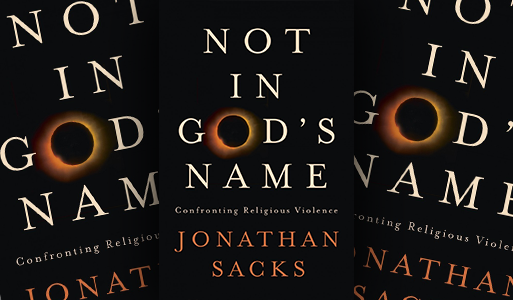 Rabbi Jonathan Sacks, Not in God’s Name: Confronting Religious Violence. New York: Schocken, 2015. 305 pages. Violence has nothing to do with religion as such. It has to do with identity and life in groups. Religion sustains groups more effectively than any other force. It suppresses violence within. It rises to the threat of violence from without. Most conflicts and wars have nothing to do with religion whatsoever. They are about power, territory and glory, things that are secular, even profane. But if religion can be enlisted, it will be. Another important factor is sibling rivalry. Girard saw the root of violence in “mimetic desire,” or wanting what someone else has because they have it. This occurs especially within families, so that sibling rivalry, Sacks writes, plays a central role in human conflict. This factor is especially germane to conflict within the Abrahamic family of religions – Judaism, Christianity and Islam – as these religions have a sibling relationship with one another. Of course, there has been conflict between other religions as well, but conflict between Judaism, Christianity and Islam has been especially intense and long-lasting. For Sacks, this conflict is not just a product of the emergence of the newer Abrahamic faiths, Christianity and Islam, but has its root in a central text of the oldest of them, Sacks’s (and my) own Jewish tradition. This is the biblical book of Genesis, in which sibling rivalry is a major theme – perhaps the major theme. In generation after generation, one brother or sister is chosen over others: Abel over Cain, Isaac over Ishmael, Jacob over Esau, Rachel over Leah, Joseph over his brothers. Each generation’s conflict plays out in a different way, from Cain’s murder of Abel to Joseph’s ultimate reconciliation with his brothers, but none comes to an easy resolution. Therefore the heart of Sacks’s book is a rereading of these stories to find more positive elements than are present on the surface. Biblical exegesis isn’t a genre that readers expect to encounter in Inroads, but please bear with me as I summarize Sacks’s reimagining of the story of Jacob and Esau. Before I do that, however, we need to step back and look at the question of how religious texts are meant to be read. A common technique for finding new meaning is close reading – probing the text for the anomalous word or phrase (or even a single letter) that does not fit with existing interpretations and suggests a previously undiscovered layer of meaning. One word is enough for Sacks to cast the relationship between Jacob and Esau in a more positive light. Jacob and Esau are twins, but Esau emerged first and so has the privileges of the eldest son. Esau is a hunter, a man of the field; Jacob “a simple man, dwelling in tents” – but not so simple when it comes to besting his virile but less quick-witted elder brother. Jacob is the favourite of the twins’ mother, Rebecca, while Esau is the favourite of their father, Isaac. This is the story of an ordinary and somewhat dysfunctional family of the second millennium BCE, but also of the line that leads to the people Israel that will establish a covenant with the God YHWH at Mount Sinai. The climax of the story comes when Isaac is old and blind and wishes to bless his eldest son, Esau, before he dies. Rebecca has been waiting for this moment and sets up Jacob to disguise himself as Esau and obtain the blessing for himself. As soon as Isaac has blessed Jacob, the real Esau comes in, and when he and Isaac find out what has happened, they are both deeply shaken. Isaac has a blessing for Esau as well, but an apparently lesser one. Furious at Jacob’s deception, Esau threatens to kill his brother, and Rebecca saves his life by sending him off to Mesopotamia on the pretext of finding a wife. This is the story as people who learned a few Bible stories in their childhood generally understand it. Jacob and Esau are pitted against each other. Jacob is chosen, Esau rejected. But Sacks sees more in the story. Central to understanding it is Jacob’s “mimetic desire.” Jacob wishes to have what Esau has, to be what Esau is. He grasps Esau’s heel as they come out of Rebecca’s womb, buys Esau’s birthright for the proverbial “mess of pottage” and then tricks Esau out of the blessing. The blessing that the blind Isaac gives to Jacob is Esau’s blessing, a blessing of wealth and power. All this may be clever and creative, but does it matter? Even if the core text of sibling rivalry in the Abrahamic family can be interpreted so that it does not lead to conflict, who is listening? Islamic State militants?5 West Bank settlers? Christian fundamentalists? That is no longer the case. 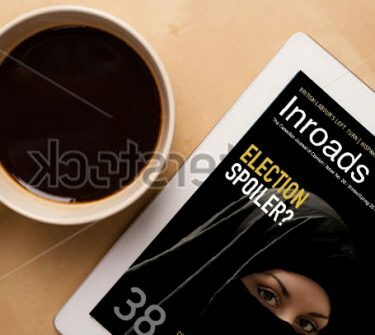 In a world of declining superpowers, sclerotic international institutions, a swathe of failed or failing states and a Hobbesian chaos of civil and tribal wars, religious extremists are seizing power. This means that we have little choice but to re-examine the theology that leads to violent conflict in the first place. If we do not do the theological work, we will face a continuation of the terror that has marked our century thus far, for it has no other natural end. In contrast to Harris’s vision of a world without religions, Sacks puts forward a vision of religions living with one another in mutual respect. I find Sacks’s vision more appealing, but I acknowledge that it will be just as difficult to realize as Harris’s – perhaps more difficult. Abrahamic religions are the ones I am most familiar with, but the contact I have had with religions outside the Abrahamic family has suggested to me that similar issues arise, and comparable resources for dealing with them exist, in polytheistic Hinduism, nontheistic Buddhism and Western Pagan traditions, to name a few. And monotheism comes with its own issues, which Sacks acknowledges – notably the temptation to proceed from the premise that there is only one God to the conclusion that God loves only those who worship God in the same way I do. But these weaknesses do not negate all that is humane and constructive in Sacks’s exposition. Since – despite Sam Harris – religion is not about to go away, more voices like that of Jonathan Sacks need to be heard, in all religious traditions. 1 Sam Harris, The End of Faith: Religion, Terror, and the Future of Reason (New York: W.W. Norton, 2004), p. 117. 2 Cited in Irshad Manji, “Conflicts of Faith,” New York Times, November 8, 2015, p. BR43. 3 Avivah Gottlieb Zornberg, The Particulars of Rapture: Reflections on Exodus (New York: Doubleday, 2001), p. 350. 4 The story of Jacob’s obtaining the blessing by deception is in chapter 27 of Genesis, his struggle with the mysterious intruder is in chapter 32 and his reunion with Esau is in chapter 33. 5 According to former Egyptian prosecutor Amr Abdalla, some early members of the Egyptian Islamic Jihad, which has ties to Al Qaeda, have publicly renounced violence. These former terrorists had previously used the Qur’an as a source text for violence but are now seeing the Qur’an in a different light (lecture at Wilfrid Laurier University, Waterloo, Ontario, February 1, 2016). 6 Harris, End of Faith, pp. 65, 225.